The five apartments in the Liberty Collection are all in the same condo building right at the corner of Liberty and Abercorn Streets in the heart of downtown Savannah. Some apartments feature a view of the Cathedral. 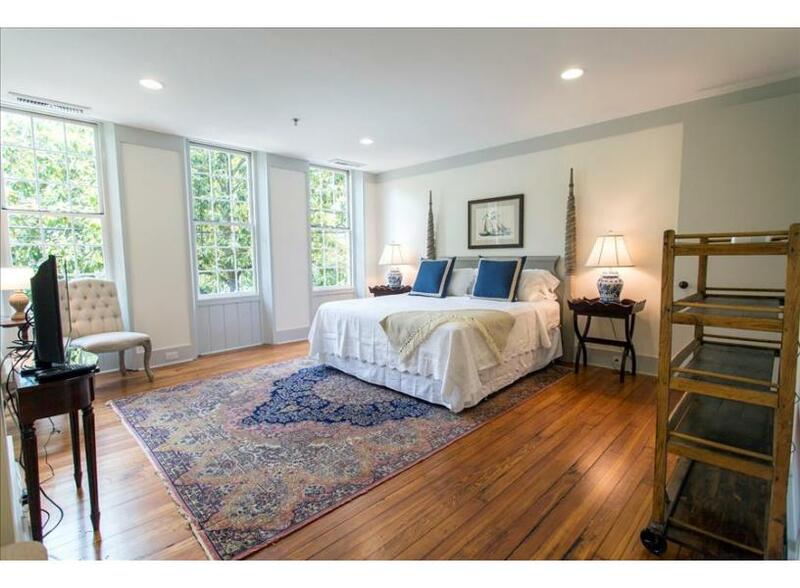 These apartments can be rented together to provide space for 18 guests, and are perfect for travelers who want to be in the middle of everything Historic Downtown Savannah has to offer. J. Christopher's, a local's favorite brunch spot is right out your front door and you're right down the street from great shopping, bars, and museums. This collection is for the city-dweller at heart, with it's perfect combination of modern amenities and downtown charm. This spacious 2 bedroom is the largest of the Liberty Collection and features a mosaic tiled balcony that runs the length of the home. It's perfect for people watching, reading the paper, and just enjoying the Savannah ambiance. The master bedroom has a comfy King Bed, and the full kitchen is perfect for preparing meals for your group. Staff favorite: Walk right around the corner to Parker's Market, this gourmet gas station carries everything from imported cheese to homemade cakes and pies! This tastefully decorated apartment has all the amenities you'll need for a short stay or an extended vacation. 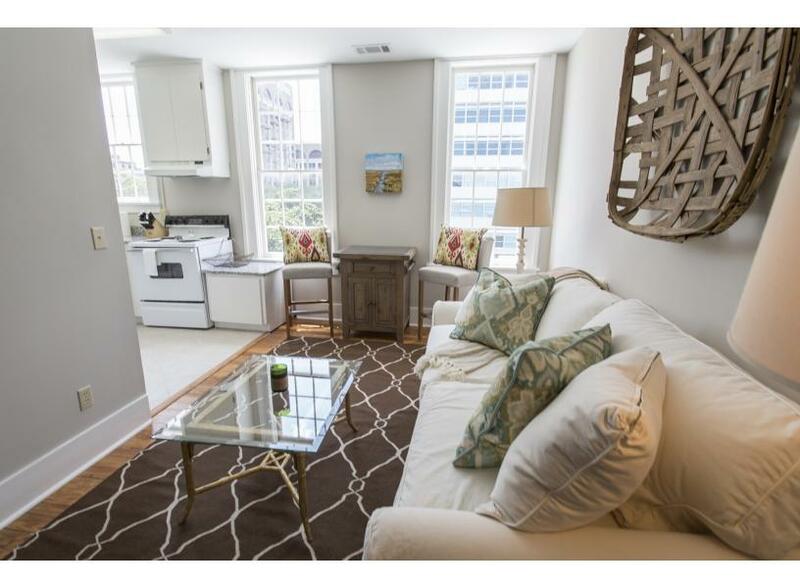 With a King size bed, full kitchen, and washer/dryer this apartment is as welcoming as it is comfortable. Staff favorite: Check out the Route 66 skillet at J. Christopher's to fuel you up to explore the city! 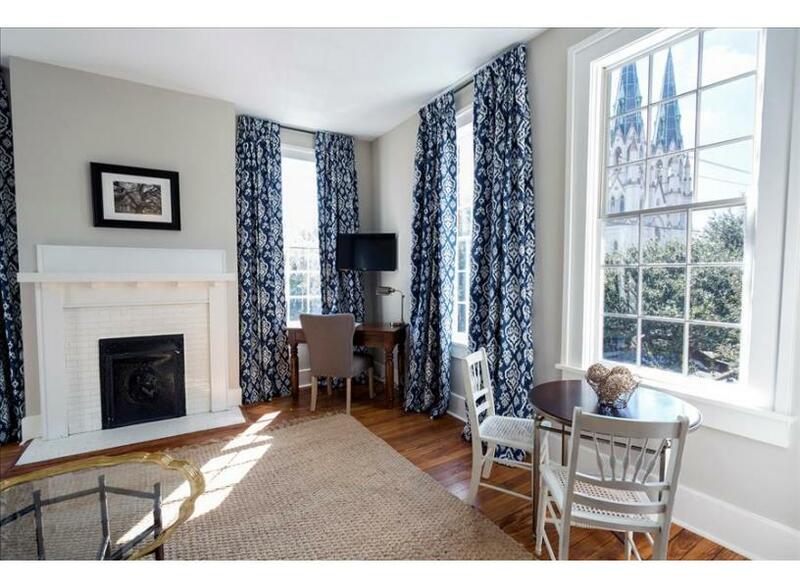 This one bedroom has a fantastic view of the cathedral with a small breakfast nook near the window to take in the sights with your breakfast or evening cocktail. This home also features a King Bed and has an ensuite full bath and an open concept kitchen great for entertaining. Staff favorite: The Cathedral tour is a must-see!